That didn’t take long. 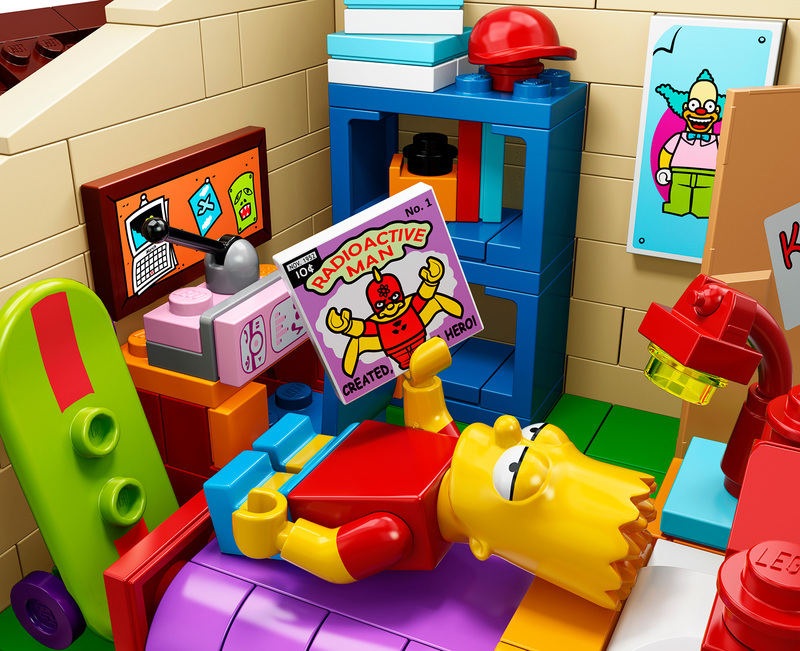 Just a few days ago, we reported on the first photos of the LEGO Simpsons House Set. 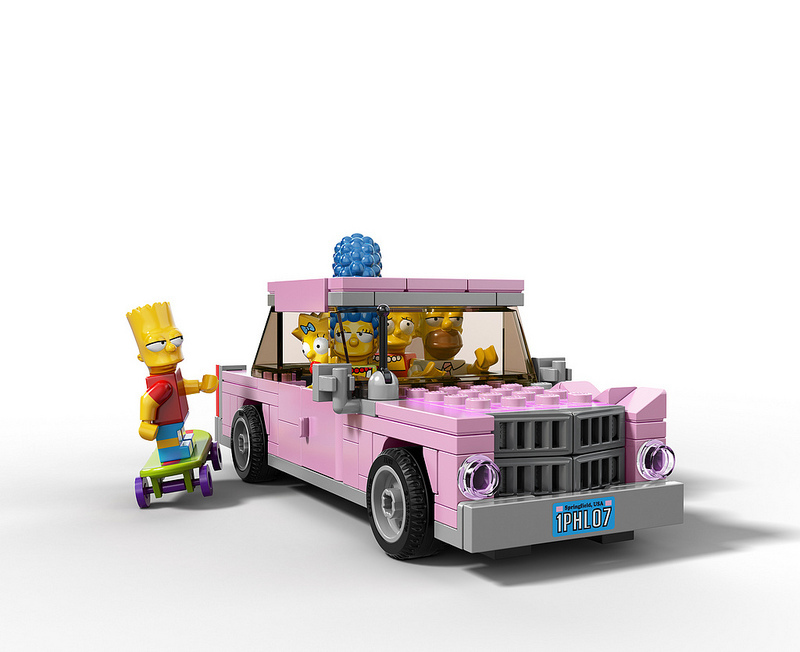 Now LEGO has sent out a press release with new photos and a video. A few new photos have been added. 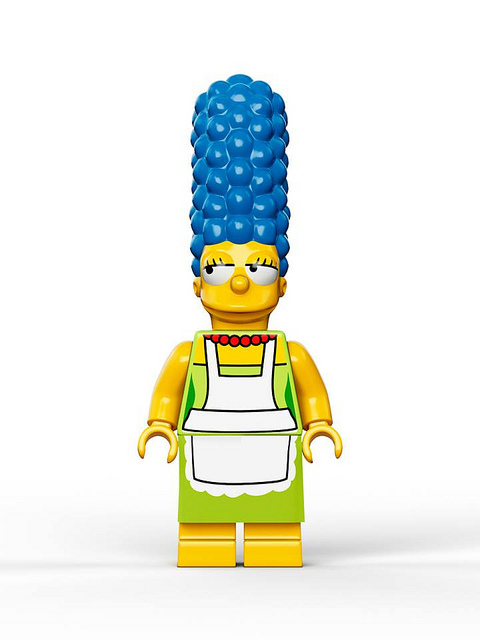 Including close up photos of each of the LEGO Simpsons Minifigs. Press release continued below. 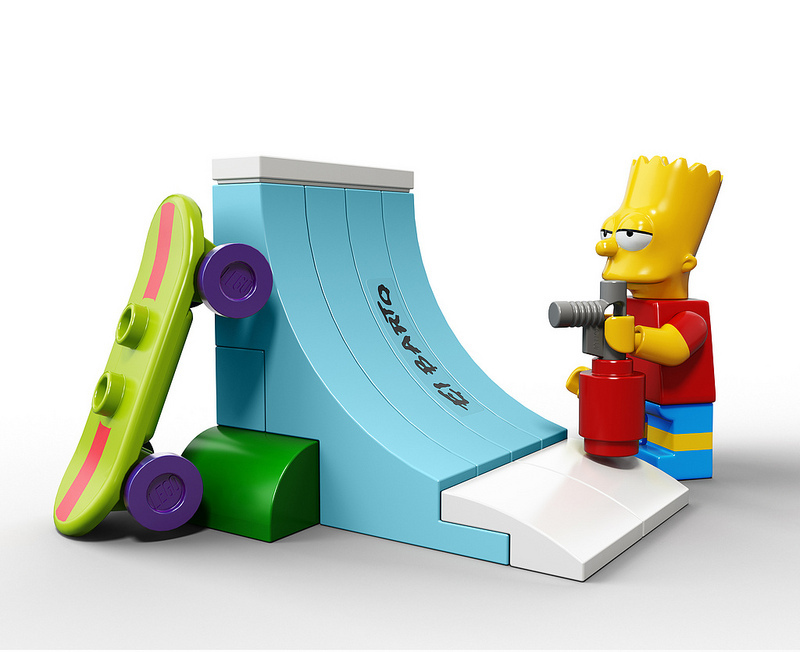 Read on to check out the video as well as the high resolution images of the Simpsons LEGO House Set. They look super creepy with their eyes and almost appear as cheap knock offs. 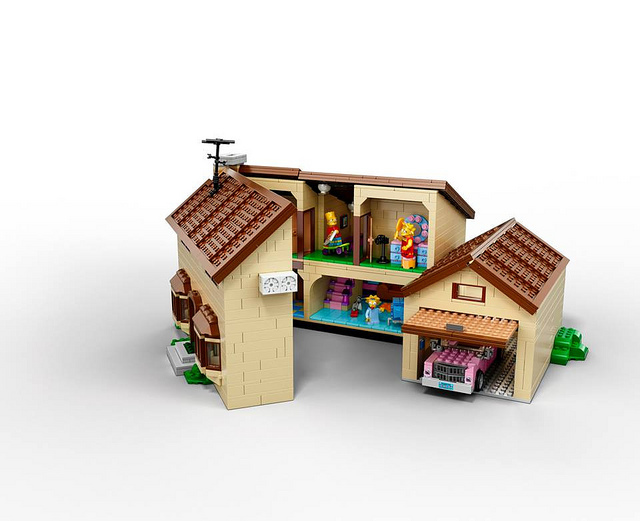 wait, it's only $200 for over 2500 pcs? 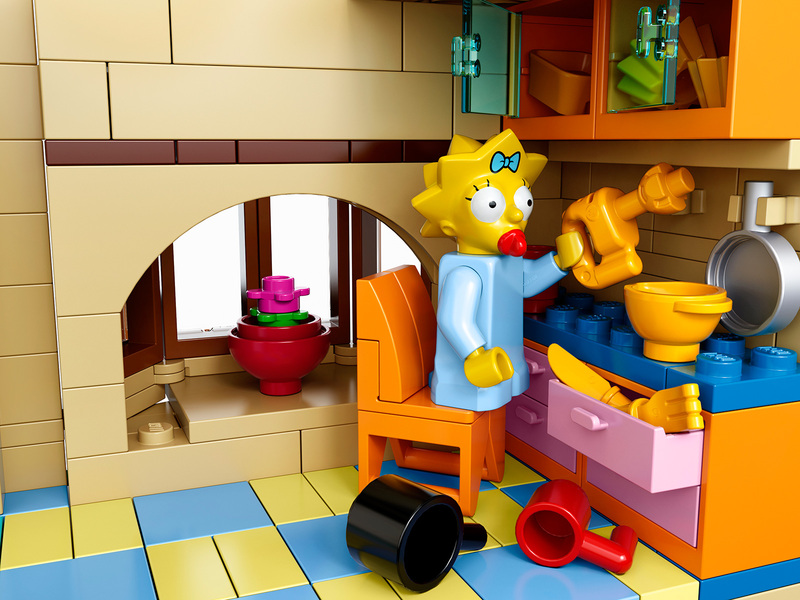 that's cheap for lego! 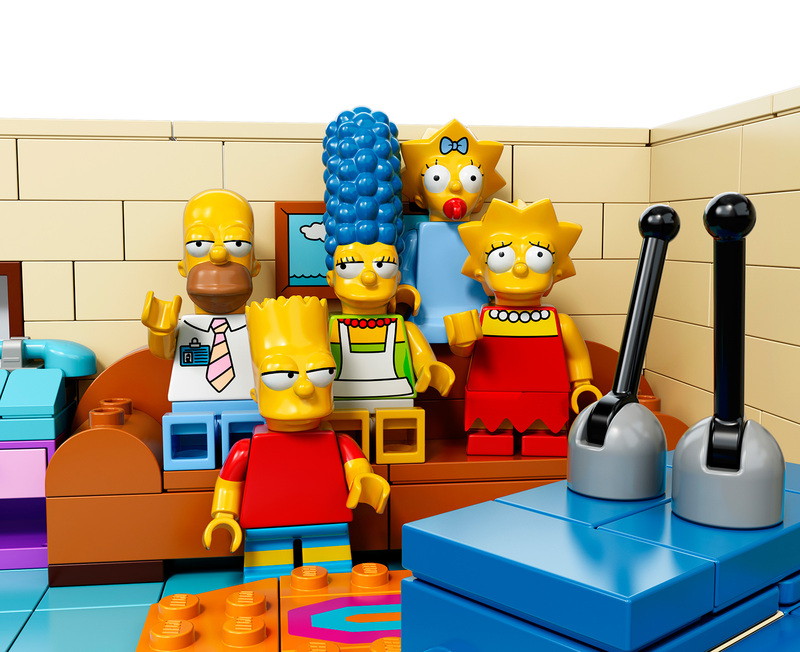 wish the family were all in their "default" costumes (Homer's in his work tie, Marge wearing apron) and the eyes should be all-open like in the top-box image. and where's Snowball II?? 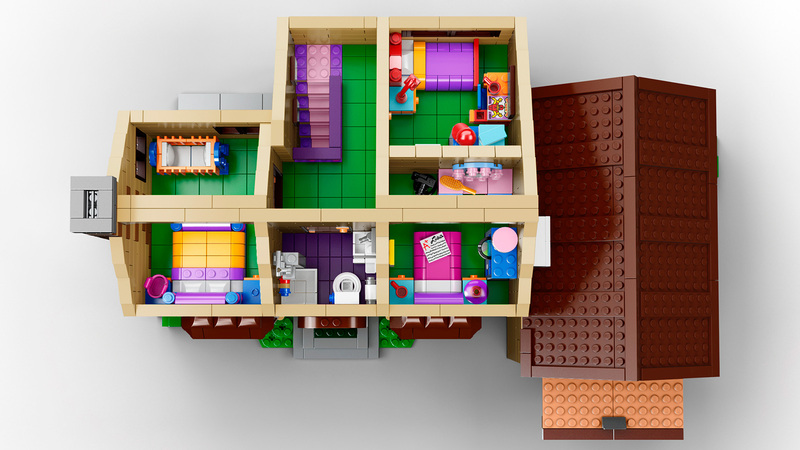 But, if that were true, then you wouldn't have to buy any more sets! 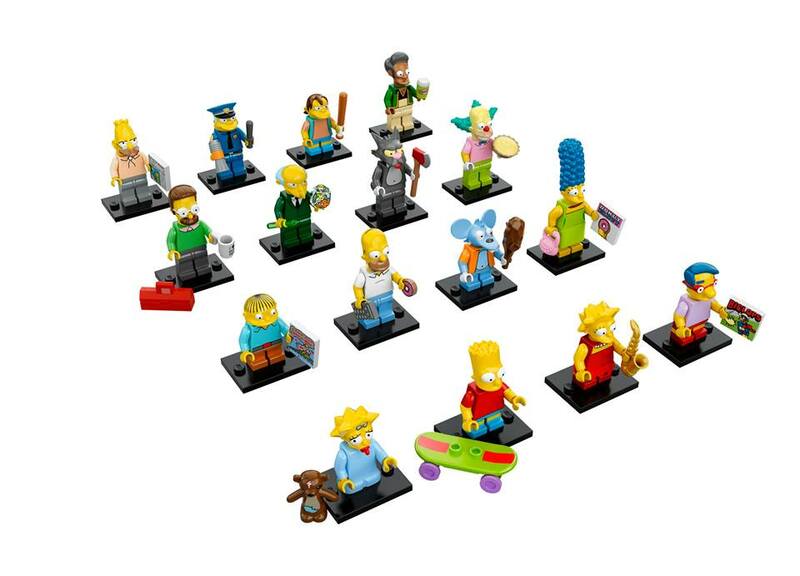 My first thought was "Holy crap, there's no WAY they're releasing all the main figures in one set! ", and then I realized that they're not in their original outfits. 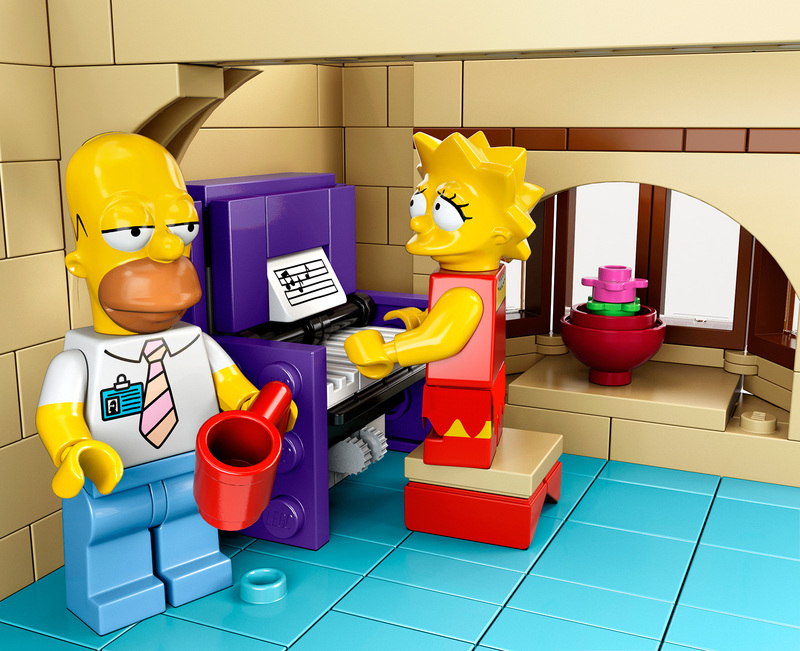 Lego would NEVER in a MILLION YEARS do that, so the fact that we're getting them all AT ALL is pretty amazing. $200? Way too rich for my blood. I would have considered it at $100. 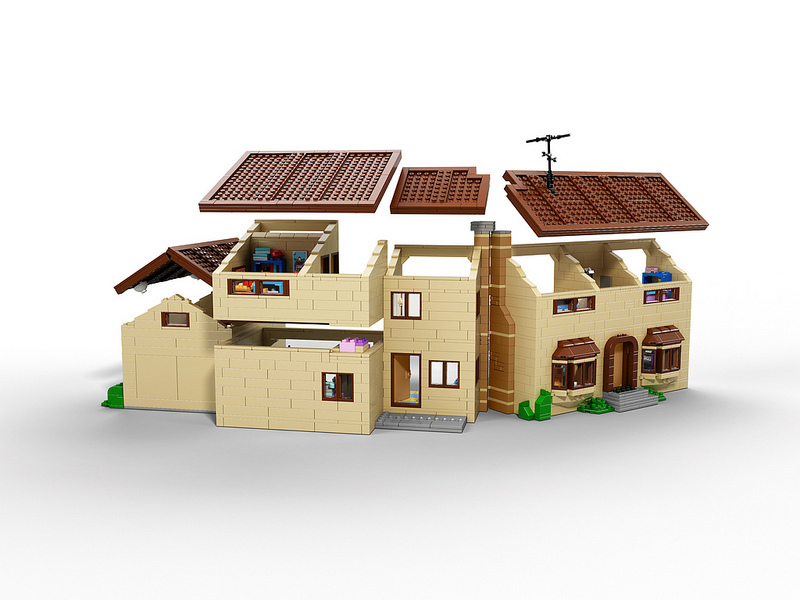 While I would love to have it (tons of details and huge), I have neither the money nor the room to get it. 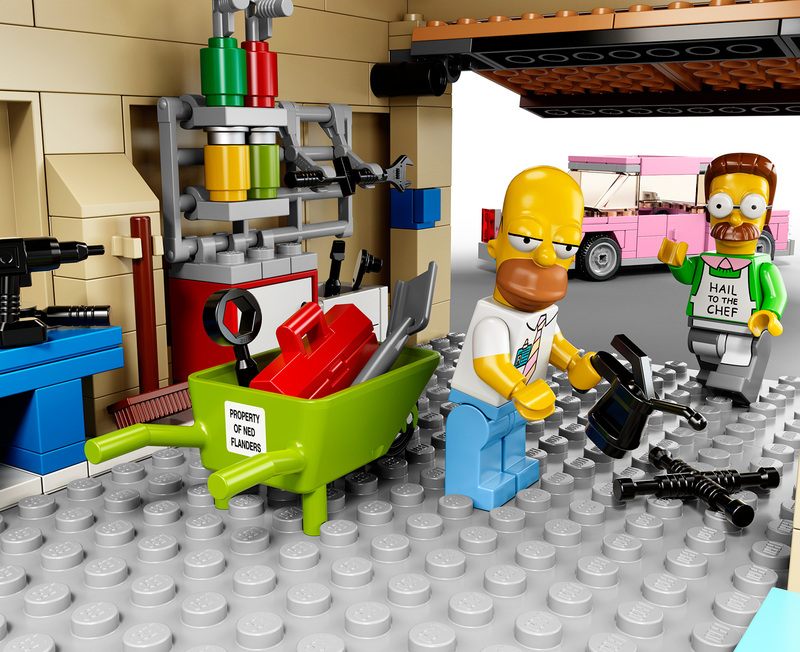 The bigger question for me is how long it will take for them to switch over to blind bag minifigs? 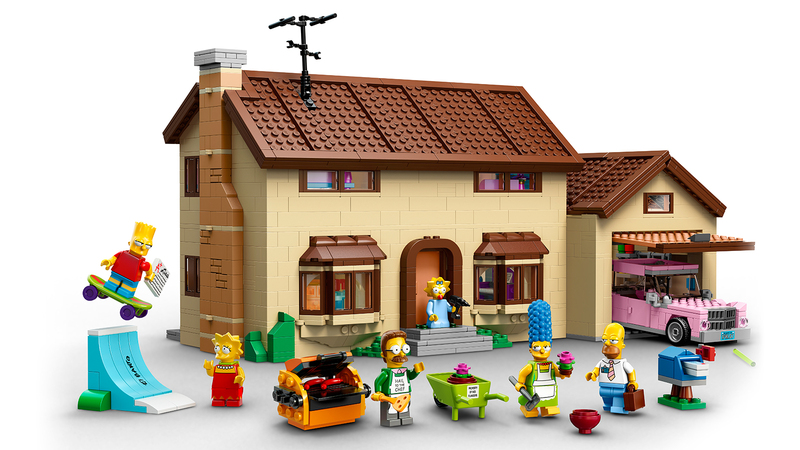 I don't think Lego can make enough sets to cover all the characters on the Simpsons (and their various outfits). 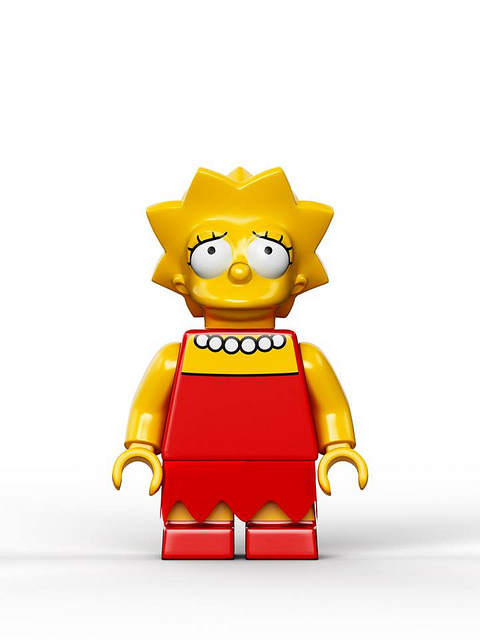 Well, at least Homer's, Lisa's and Maggie's eyes make sense to me. 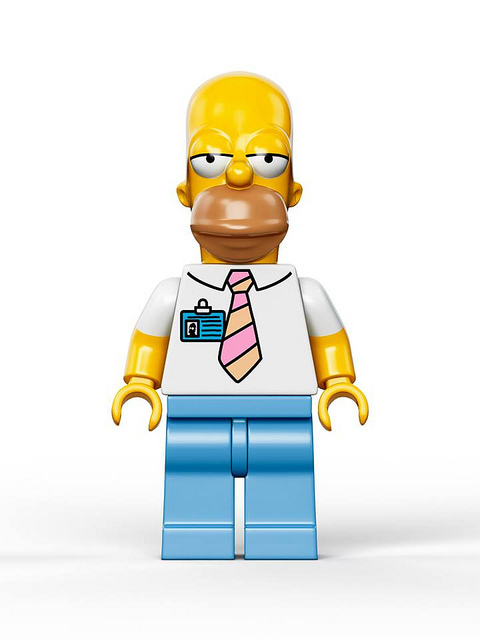 Homer looks sleepy because he's wearing his work clothes (i.e. falling asleep at his desk). 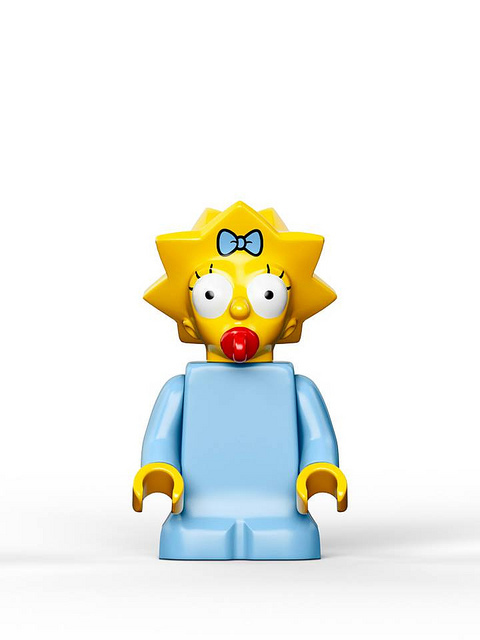 Maggie's natural look is wide-eyed surprise, and I don't see how anyone can see her minifig and say she looks "sleepy". Lisa looks like she's embarrassed, which is one of her typical looks as well. 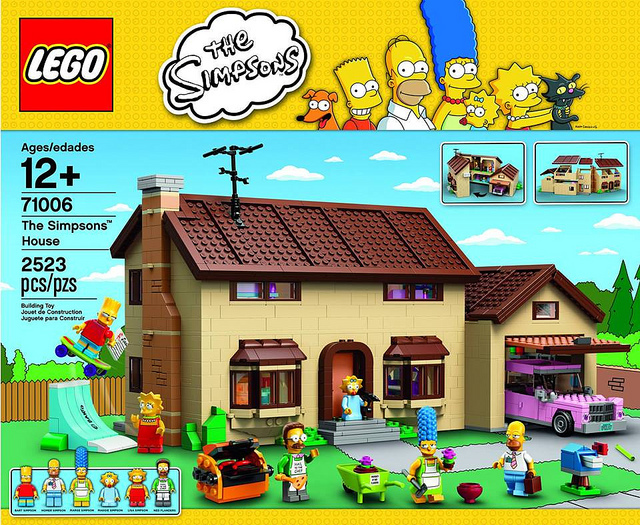 Sadly, that is a typical retail price for a Lego set with that many pieces. These look MUCH better without those stupid derpy eyes from the House set. Will be looking to pick these up! Sold! I will buy that entire wave without a second thought. If I had room, I would buy them. But I don't, so I just saved myself $300. 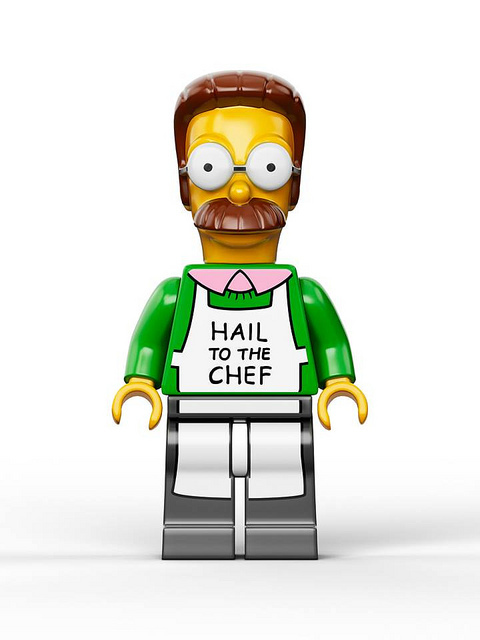 How much are these minifigs going to go for....$3.99 each? where can one buy the entire wave? bbts? 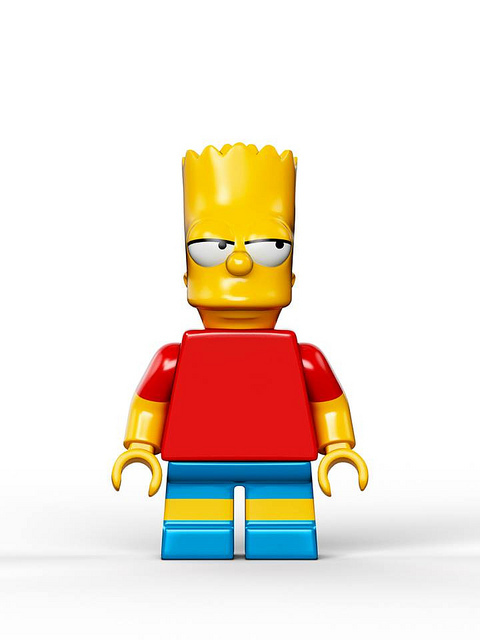 AFAIK, BBTS does not sell Lego minifigs. Besides, they're blind bags so anyone who does sell the wave as a whole would probably charge more since all the work was done for you. Plus, they'd have to open them all to confirm there were no duplicates. Honestly, if you're looking to buy them online, you might be better off just buying an entire case of them and selling off the dupes. As for me, I'm perfectly fine with feeling the packaging at a regular store to get them all. I did that with the Lego Movie wave and only ended up with one duplicate (it was Bad Cop, so it worked out anyway). 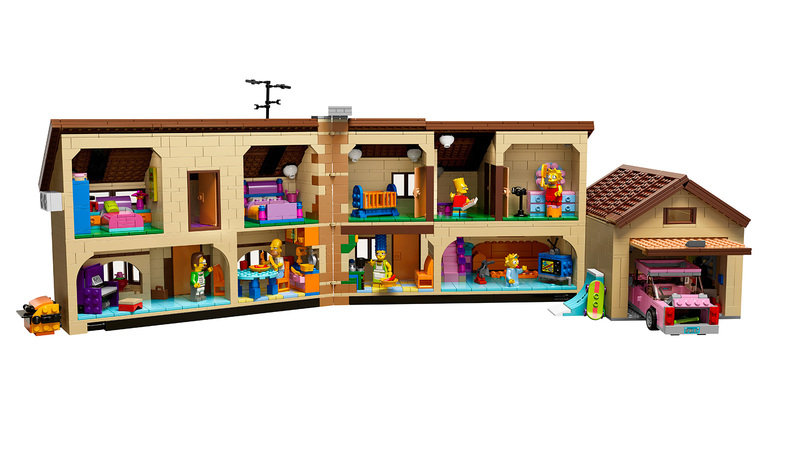 And I'm guessing if you're going to get the minifigs at all, you'd want the house as well, right? Makes sense, especially from a display standpoint.